To learn more about dry eye syndrome, visit www.dryeyedoctor.ca. The results of the "Retardation of myopia in Orthokeratology" (ROMIO) study were published in October 2012 in the journal Investigative Ophthalmology and Visual Science. The study was a two-year randomized clinical trial by researchers at the School of Optometry at The Hong Kong Polytechnic University. The goal of the study was to evaluate the effectiveness of orthokeratology (ortho-k) for myopic control in children. The study examined 102 patients ranging in age from 6 to 10 years, with myopia between 0.50 and 4.00 diopters and astigmatism not more than 1.25 diopters, who were randomly assigned to wear overnight orthokeratology lens retainers or single-vision glasses for a period of 2 years. Axial length - a key measurement of myopia - was measured by intraocular lens calculation by a masked examiner. Measurements of the kids' eyes were taken at baseline and then every six months. The researchers concluded that, on average, subjects wearing ortho-k lenses had a slower increase in axial elongation (a key marker of myopia progression) by 43% compared with that of subjects wearing single-vision glasses. The authors noted that younger children tended to have faster axial elongation and may benefit from early ortho-k treatment. Experts estimate that 80% of learning is obtained through our visual system. That is why thorough eye exams and treatment for eye and vision problems are essential for academic and life success. Some vision problems can be treated with corrective lenses (glasses and contact lenses) while others that have to do with eye movement or the connection between the eyes and the brain require vision therapy - which is like physical therapy for the eyes and the brain and is delivered by a developmental optometrist like Dr. M.K Randhawa. Just how important is vision for success? Here is what some scientists have found about the connection between vision and learning. studies found significantly lower achievement test scores, as well as reduced letter and word recognition, receptive vocabulary, emergent orthography, and verbal and performance intelligence quotients among children with uncorrected hyperopia. 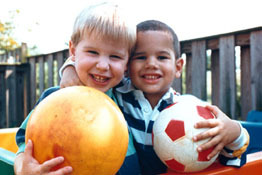 children with learning disabilities exhibit a greater prevalence of vision-related problems than the entire population. most vision problems that may affect learning are related to refractive error, so vision examinations may provide helpful information in the management of children with learning disabilities.